Human Population Genetics and Genomics provides researchers/students with knowledge on population genetics and relevant statistical approaches to help them become more effective users of modern genetic, genomic and statistical tools. In-depth chapters offer thorough discussions of systems of mating, genetic drift, gene flow and subdivided populations, human population history, genotype and phenotype, detecting selection, units and targets of natural selection, adaptation to temporally and spatially variable environments, selection in age-structured populations, and genomics and society. 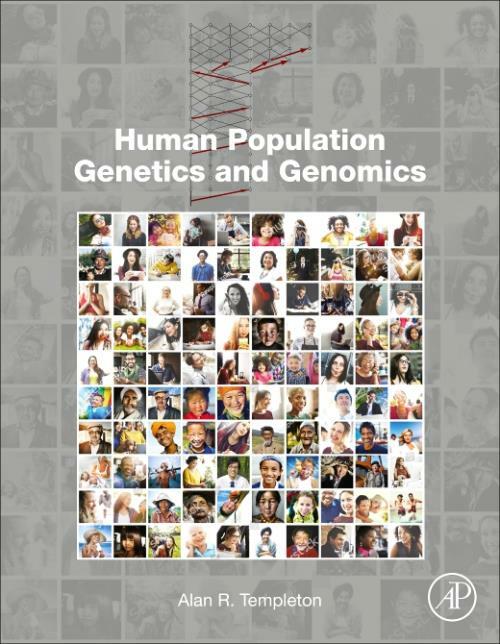 As human genetics and genomics research often employs tools and approaches derived from population genetics, this book helps users understand the basic principles of these tools. In addition, studies often employ statistical approaches and analysis, so an understanding of basic statistical theory is also needed. Dr. Alan Templeton is the Charles Rebstock Emeritus Professor of Biology and Statistical Genomics at Washington University in St. Louis, Missouri, USA. In addition, he is a Visiting Researcher at the Rappaport Institute in Haifa, and a Visiting Professor at the Institute of Evolution and the Department of Evolutionary and Environmental Biology at the University of Haifa, Israel. He has been the President of the Society for the Study of Evolution, the Fulbright-Israel Distinguished Chair in the Natural Sciences and Engineering, and an editor or associate editor of several major scientific journals. He is a Fellow of the American Association for the Advancement of Science, a recipient of the David Murdock-Dole Award for outstanding contributions in human genetic studies, a recipient of the Burroughs-Wellcome Fund Innovation Award in Functional Genomics, and a Fellow of the American Academy of Arts and Sciences. He has repeatedly been listed as an author of one of the top 1% most highly cited papers in the Life Sciences worldwide. He applies genomics and statistical population genetics to a variety of basic and applied problems on the genetics of complex diseases, evolutionary biology, human evolution, bioinformatics, and conservation biology.